Here is a layout I started at Color Connections last weekend. I love all this yummy Pink Paislee stuff!! We had such a blast getting dirty!! lol It was fun to spray on Glimmer Mist and then paint Glimmer Glam on the Travel card and on the wooden pieces. I was so excited to get the stamp sets from Pink Paislee. We ended up with 3 or 4 full pages of stamps! I stamped the border on the main paper using 2 of the stamps from one of the sets I received. and Do You Stack Up Blog. Did you guys have a good Memorial Day weekend?? What did you do? I spent most of my weekend helping my two oldest boys do a big school project. It was a ton of work but they are done now and their projects look awesome. And they have been practicing their speeches! Wish them luck. Don't forget to enter my 1st year blogiversary candy giveaway!! Today I plan to thrill you with some cards that I have made. This morning I was reading some blogs and I stopped over at The Non-Review. You should check out his blog. It is more of a movie review site (sort of) but it is great. It is very fun to visit. I used some of the new Cosmo Cricket Circa 1934 paper and sticker. And I added a little Stickles for sparkle. I hope he likes it! Next I am sharing a card that I made during a recent Copics Class. I did most of the coloring in class and then brought it home and fussy cut out the flowers and layered them for dimension. I haven't posted it before this because I was deciding on a sentiment and couldn't put it all together without stamping the sentiment. I went with a simple Thank You because those are the kind of cards I use the most. I just love the purple with the yellows! And finally I made this other Thank You So Very Much card this morning as an example for one of my Mix It Up Recipe Challenges at Sketches4all. The newest recipe is to use: metal, buttons, embossing and stamping. You should go over and participate in my challenge! I have a RAK for the winner. I can't believe that my kids will be out of school for the summer by the this time next week!! Are you ready for summer??? I am back from my extremely fun trip to The Color Connections Tour in Riverside, California. And boy oh boy was it GREAT!! We had the best time EVER! The classes were fairly small (30ish people) so we had lots of hands on instruction. There were so many fun projects and things to learn. And we got SO MUCH PRODUCT!! Gorgeous, gorgeous product from 3 fab companies!! SOOOOO lucky! Prima Marketing, Pink Paislee and Tattered Angels ROCK! I almost had to buy another suitcase to fit everything for my flight home! Denise is going to bring a few things when she comes to visit in 3 weeks. Can you tell I loved Color Connections and would definitely do it all over again?! And I recommend it to any and everyone. They said they are planning to tour it around the U.S. this year so if it comes to an area near you plan on going!! I am going to share the clock and headband I made here today because they are the only things I have taken a picture of so far. But plan to get to see much, much more soon! The headband was a fun project provided during the crop. We had tons of flowers and ribbon and bling we could add to the base head band. I went fairly simplistic and just added two flowers and some ribbon. Both of my daughters have been wearing it already. The clock was such a fun project to do! We had to sand it and then Glimmer Misted it. I then painted on some Glimmer Glam. I just love Glimmer Glam. I am embarassed to say that I actually own 4 bottles of it and had NEVER used it. And now that I have used it I plan to use it on EVERYTHING!! It really adds so much sparkle and goes on so easy. Totally awesome stuff! We were provided with so many cool things to add to the clock face... flowers, bling, leaves, brads and we got to pick which of the fun titles we wanted to use from a package of Mistables Flocked and Resist Titles. We were given the makings of the actual clock fixings and I just waited to put the clock fixings on until I got home. I didn't want to destroy them in transit home. Now I am just looking for a place to hang it! 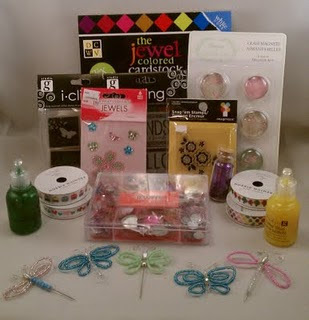 The name of the winner of my personal Spring is in the Air blog hop giveaway is.... Emeraldvalkerie! Congratulations Christy!!! I will pop your stamps in the mail today!! Thanks to everyone who joined in on the blog hop! I hope you all had fun. Check back tomorrow for more scrappy goodness! I Made It Home And Am Off Again! We survived the field trip to Mt. Charleston. It ended up being a lot of fun. Super cold but a lot of fun. My daughter had a blast. It actually snowed on us yesterday and the bus that was coming to pick us up and take us back to school got stuck in the snow. It all worked out in the end. I will share more about it later. I home for about 30 more minutes and then I am off to Burbank, California to join my bff, Denise. We are going to the Color Connection Creative Tour in Riverside. I'm so excited to see Denise and to go learn a bunch of fun new things! I will share the fun with you when I get back. I wanted to post something since it has been awhile. I painted the wooden cover of this mini album using the new Sheena Douglass Paint Fusion Technique that I got from Crafter's Companion. I really think it turned out super cute and I plan to finish out the pages inside and give it to a family friend. Her last name is Berry and she has a birthday coming up. I think she will love it! I was practicing painting butterflies when I made the one on this card. I just really liked how it turned out so decided to make it into a card. I love the bright red, orange and purple together so much. And I decided to send it to my friend, Kelly Massman for her birthday today. Happy Birthday Kelly!! If you get a chance pop over to her blog and wish her a happy birthday too. Okay, this will be short and sweet because I need to leave for the airport. Welcome to the Spring is in the Air Blog Hop from Sketches4all!! This blog hop starts today, Wednesday, May 11th and ends on Wednesday, May 18th. You are encouraged to visit all of the blogs of our Design Team members. You need to follow their blogs and leave them a comment to let them know you have been there. To qualify for the Grand Prize you will also need to find the 5 Scrap items and make a layout using these items with the sketch provided. Emailing the correct list of 5 items will put you in the 2nd place drawing for a $10 gift certificate to the awesome online store, Scrappy Jo's Scrapbook Supplies. 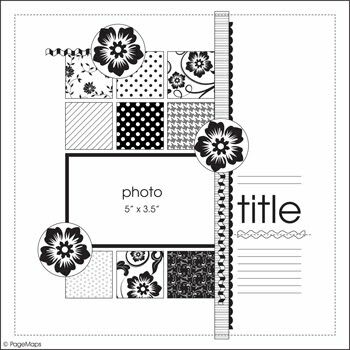 If you decide to participate in the challenge for the Grand Prize you will need to post your layouts on the discussion thread for this challenge at Sketches4all . I think you need to say WOW! All of this to one lucky person who finds the 5 words and then makes a layout using the gorgeous Pagemaps sketch provided. I think these should get someone on the way to a great summer! There will be fun and inspiring challenges with RAKs for randomly drawn winners posted every day during this blog hop at Sketches4all. You will find them there under Special Events. I am offering a Numbers Challenge during the blog hop which starts Wednesday, May 11th. There will be an awesome RAK offered. You can find this challenge here. I am also offering a little Blog Candy Giveaway here on my blog that will be randomly drawn from the people who sign up to follow my blog and leave me a comment letting me know that they did. I'm offering 5 Clear Stamp Sets. 1 Enroute set by S.E.I. If you started the Blog Hop here on my blog you started in the right spot. Next you will need to go visit Fia at http://sketchesforyou.blogspot.com. Then email your words to Fia. 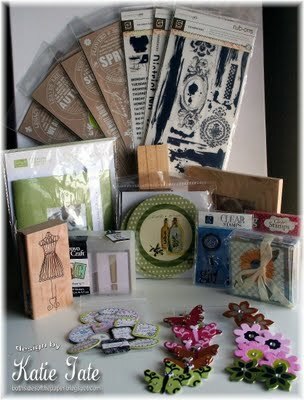 I mostly used goodies from my Sassafras Lass Indie Girl kit with some additional items from my stash. I like how it turned out. What do you think? So now I bet you are wondering if I have one of the words??!! Well yes, I do......my word is FLOWERS. So now you have your first word and are on your way. Go to visit Fia next. Remember to use all 5 scrap items you find on your sketch challenge layout. But don't forget to email your list of items to Fia too. That way you will be entered to win both prizes. I'm sorry I've been kind of absent but it is that crazy time of year. I'm off on an overnight field trip to Mt. Charleston with my dd today. We will get back tomorrow night and then on Thursday I'm off to California for The Color Connection Tour with Denise!! Woo hoo! 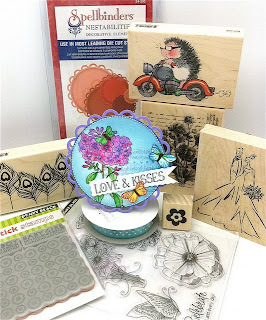 Don't forget there is still time to sign up for the Sketches4all blog hop posted above. And I'm giving away some candy to someone who comments and follows me....so go sign up to get in on that!! Kelly at Uniquely Me, Imperfections and All has CANDY! She is getting ready to celebrate her birthday and wants to share her goodies with you. Go check out her blog and wish her a happy birthday while you are there. HAPPY BIRTHDAY KELLY!! The Daily Marker has a great blog candy giveaway going on right now. It ends May 17th. You really need to go check out this magnificent blog!! Hurry, hurry. Jacilynn from Jacilynn Dashwood blog has candy! Go check out her blog. It is awesome!! Happy Mother's Day to all the mothers out there who are reading my blog!!! I bet there are a ton of you!! LOL And I wish you a lovely day hopefully spent with your children. I woke up to breakfast in bed this morning!! (lucky me!) My children made me blueberry pancakes, bacon and coffee. YUM!! I kind of had to stay in bed a wee bit longer than I would normally have since I knew they were cooking me breakfast and wanted to serve it to me in bed. Boy were they excited to do it!! And so proud of themselves. Now they want to take me out "on a date". I'm pretty sure (I) want to go to Dairy Queen for ice cream and then to see a kid movie at the theatre! LOL And maybe (I) even want to go to Chuck E Cheeses! LOL Aren't kids hilarious?! And fun. Anyway, it is off to a great day around here. I hope your day has been going well too. How did you guys do yesterday?? Do anything fun for NSD?! 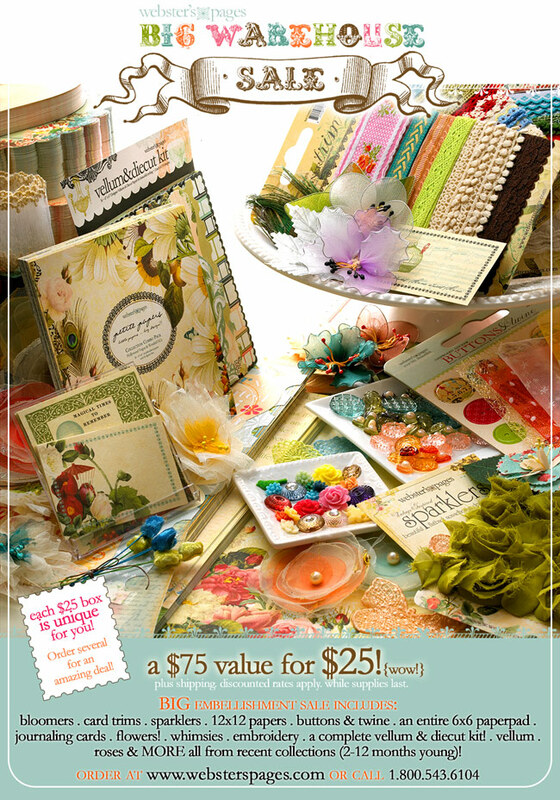 I ended up cleaning my scrap room and then I made a card and a layout for NSD challenges I found online. The card challenge I posted yesterday but here is the layout I made. I used a sketch challenge from Big Picture Classes, Hidden journaling challenge at Frosted Designs and a layout challenge from My Pink Stamper. I used some photos from my recent Copic Certification Class. There is some yummy Cosmo Cricket Paper, some twine, brad, ribbon and stickles from my stash. I used a Flair from American Crafts. I like how it turned out...what do you think? Okay, enough from me. Have a wonderful Sunday. Celeste has some yummy candy over at her blog, Touched by a Butterfly. She does marvelous work so go check out her blog! There is an awesome giveaway here at Bella Blvd. Go check it out!! Here is a cupcake card I made using a Sassylilsketches card sketch. I'm was inspired by the 1st My Pink Stamper NSD challenge-cupcakes. I used a My Pink Stamper Everyday Occasions stamp set, some Cosmo Cricket Delovely paper and an adorable cupcake Puffies from KI. How's you National Scrapbook Day going?? Yesterday was my son, Quinn's 11th birthday!!! HAPPY BIRTHDAY BABY! I took him, siblings and a friend to Chuck E Cheeses and then back home for dinner, cake and presents. He had such a great day. He had fun and was happy with his presents. He told me that "half the school" wished him a happy birthday!! Good for him! 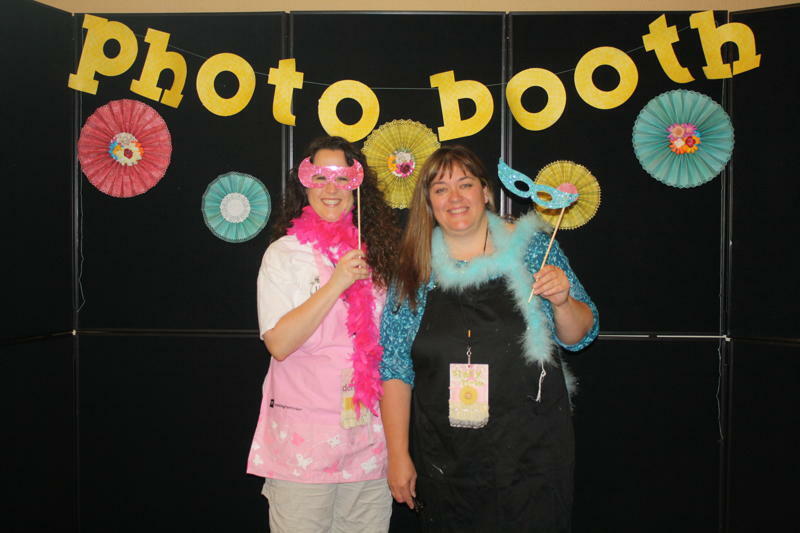 Who's ready for National Scrapbooking Day?! There are so many fun things going on tomorrow I am a little overwhelmed. I'm not sure what I will end up doing but I am sure I will do something fun. And can you believe it is Mother's Day on Sunday? Wow, that snuck up on me this year. I have already received my present from my kids and hubby, (a VERY GENEROUS present) a trip with my bff, Denise, to The Color Connection Creative Tour in Riverside CA. It is hosted by Pink Paislee, Prima Marketing and Tattered Angels. There are 6 workshops being taught over two days. I'm so excited about it I could bust! lol I only have 2 weeks before we get to go. Last weekend when Denise was here visiting we took Copic classes on day on Saturday. I know I already mentioned it but it was really just so much fun. Here is a card I made during one of the classes using a stamped image that was provided. I made another card too but I'm debating on what sentiment to stamp on it. So you will have to wait to see that one until I decide and stamp it. Because I can't finish putting it together without the sentiment. Okay, this is enough for now. Comment and let me know your plans for NSD or share some great sites that I "must" visit tomorrow. HUGS!! Pralinka said, "amazing giveaway! I'm your follower". You have until May 12th to email me your full name and address at scrapwithstacy at gmail dot com. After that date I will pick a new winner. 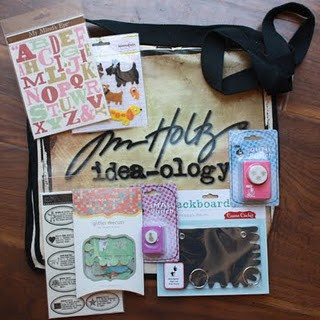 Winner of Crafter's Companion USA Giveaway!! I am so excited to announce the winner of the Crafter's Companion USA Giveaway!! Julie said, "I'm a blog follower to both you and Crafter's Companion blog"
You have until Thursday May 12th to email me your address at scrapwithstacy at gmail dot com. After that date I will pick another winner. I was a co-chaperon of 7 boys. Another parent, Eric, chaperoned with me. We were never allowed to split up. The first night we got to tour the park and do activities like make a shark tooth necklace, learn about Sea Turtles and learn about Sharks. We ended up getting to sleep next to some sea turtles and sharks. We were told it would be cold but this area actually was fairly warm. The sweats they suggested we bring to sleep in were way too hot and heavy to wear. Luckily they had given us a Sea World t-shirt and most of us just used the t-shirt for our pajama tops. The next day the kids rode all the rides and saw most of the exhibits and played on the playground. We saw the dolphin show and the Shamu show. That Shamu show was my FAVORITE! It was super cool. We rode back the 7 hour ride in the bus with most of the kids asleep by the time we got home at midnight. Sunday night I had to do a DT project for Crafter's Companion. Between Spring Break, Sea World and Copic Certification, I am pretty behind on my crafting. 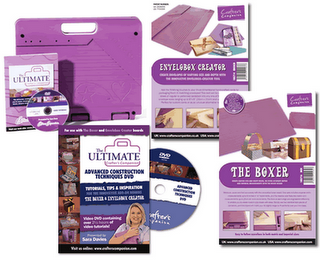 Crafter's Companion sent me this really cool new product to work with called Sheena Douglas' Paint Fusion. You will be able to get it at Crafter's Companion Store on May 5th. It is ACTUAL PAINTING. Gasp! lol I'm so not a painter so I was a bit nervous but also super excited to try it out too. So I just got out the DVD and the Sheena Douglas Paint Fusion Berries Set and practiced the painting strokes while listening to Sheena tell me what to do. The Berries Set comes with some stamps and a practice guide. You can paint right on top of the practice guide until you feel comfortable to start on your own project. The paint wipes right off easily so you can do it over and over. What do you think?? Have you tried painting on your crafty projects?? Share!! Don't forget that I will be announcing the winner of the Crafter's Companion Giveaway on Thursday, May 5th and will announce my personal international giveaway winner then too. I hope the rest of your day is wonderful. Thanks for stopping by. 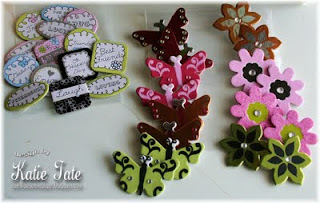 I wanted to let everyone know that there is a new challenge for May over at Crafter's Companion USA Challenge Blog. The challenge for May is "Mother's Day". You can make a card, layout or altered project. You are just required to use a stamp on your project from Crafter's Companion. There is another awesome prize. Oh my gosh! The total retail cost of all of this great stuff is $100.80! You know you most likely need to make something for Mother's Day anyway so pop on over and join in!! Just think...not only will you have something special to give someone but you might even win this month's prize! Here is the card that I made for this challenge. I used one of the great stickers from my Fairyopolis Card Kit to make the card. (these stickers are so gorgeous!) I inked the edges and used Pop Dots to raise it up off the base of the card to give it dimension. I used some of the pearls and bling from the same kit. I used a stamp from the Fairyopolis Winter Fairies clear rubber stamp set. And finished off my card with some fab flowers from my stash. I hope you have time to join in on this challenge! !